Hot Tub Hire in the North West for any special occasion or just for you to pamper yourself. Friendly, polite, professional service offering hot tub hire for any occasion. We deliver the tubs thoroughly cleaned, with complimentary gazebo, set the tub up, talk you through the simple instructions to ensure the most pleasurable Alpine experience and when we leave you we leave you with an instruction guide with our dedicated helpline number in case you need to contact us and once your festivities are over, we pop round at a time convenient to you to take our baby away. Anyone wishing to just have fun in one of our tubs or wishing to make that special occasion even more special, be it a 21st birthday party, a kids party, a retirement do, hen do, stag do, to celebrate a promotion, a leaving party or if you are not holidaying abroad this year and fancy something special for your staycation, you name it, we can supply it! Would highly recommend. Will use again. thanks so much Geraldine, so pleased you had a nice time with us. Delivery was on the agreed day and time. Quickly set up by Fraser who is a very pleasant person, the equipment was in good condition and worked well. However the gazebo had some damage to it but it didn't stop it from working. Pickup was on the agreed date and time with the same efficient manner. I can recommend this supplier and I would certainly use again. Many thanks Gerry. Apologies about the gazebo but we have so many problems with this complimentary part of our service. I will let Fraser know you reviewed us. Here's to a happy and healthy 2019 to you and your loved ones. 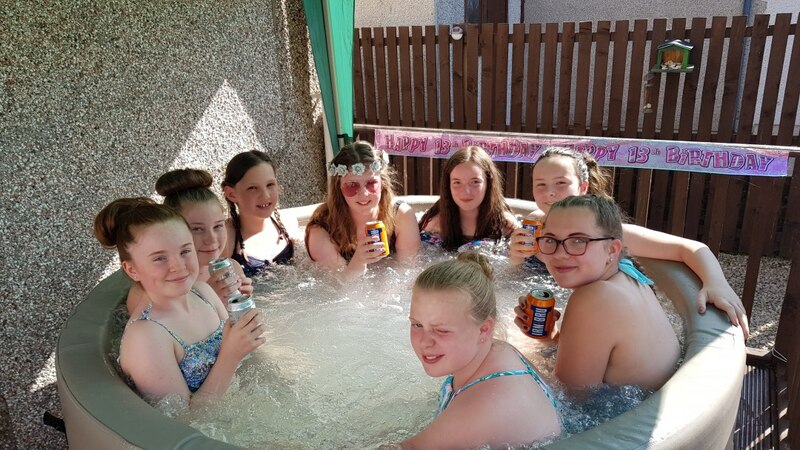 We hired the hot tub for our daughter's 14th birthday party. The girls had a ball! Iain and Fraser were both great .... really helpful both at booking stage and when setting up the tub. We would highly recommend this company and will definitely use them again. Excellent service from alpine. Iain replied to every email I sent so quickly and kept me up to date along the way while answering any questions I had. Fraser who set the tub up was a lovely guy! Was so friendly and arrived nice and early to get the tub set up and took his time to go through everything with us. Had a bit of a hiccup along the way which was all totally down to me, nothing to do with the guys but they still managed to fit me in and work around my work. Would definitely recommend and have already passed their details to friends and family. Will definitely use again. My daughter turned 13 & she wanted a hot tub party. I applied to Add to Event & Alpine Tubs were the only ones to reply. I booked through email & left deposit to secure booking & tub arrived on the day in question but was late which wasn't a problem as they had van issues. Fraser who delivered set it up & explained how it worked & if needed help just to call him. The girls had a fantastic time & so did the adults. I thought it was value for money as had from Thursday till Wednesday. It was really easy to empty & fill as we did that a few times & left it to heat over night. I would recommend Alpine Tubs as the service I received from start to finish was good. The main thing was that my daughter had a brilliant birthday with her friends. Great hot tub - sturdy, easy to use and look after and very good value. Excellent communication to arrange delivery and set up. We will definitely be doing this again using Alpine Hot Tubs. The whole process ran like clockwork, from the initial comprehensive quote to the delivery of the goods on the agreed date. Iain and Fraser were incredibly helpful and I would definitely recommend Alpine Hot Tubs - Scotland to others for their quick and easy service. I would certainly use them again. Couldn’t be more happy with the service we received from start to finish! True to their word, no hidden costs, always available for any questions queries etc. Polite, friendly and couldn’t recommend more! Thanks for making our event the best it could be! Will definitely use again! I Would recommend this company for sure. The Service I was provided was second to none & the hot tub was amazing quality & great value for the money. Iain & Fraser who I dealt with were very polite & communicated with me well from start to finish. Delighted to report that we had a fantastic experience with this company. Hired for my daughter's 18th and they had an amazing time! We used it every day, so relaxing and enjoyable. Fantastic product supported by fantastic, friendly and very helpful staff. Thanks, Iain and Fraser, will definitely use again. 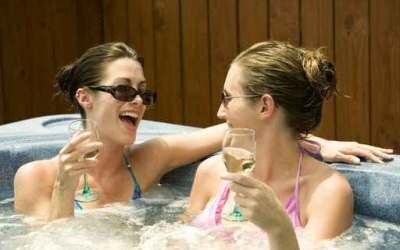 Get quotes from Alpine Hot Tubs - Scotland and others within hours.